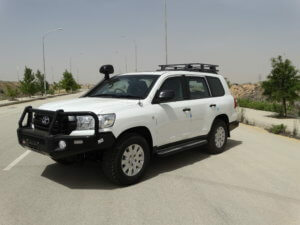 World-class specialist in design and production of high-specification armored vehicles, US-based Jankel Tactical Systems (part of the global Jankel group of companies), have been awarded contracts to supply armored Chevrolet Suburbans and Toyota Land Cruisers to the US Marshals Service, America’s first federal law enforcement agency and, the US Customs and Border Patrol; one of the world’s largest law enforcement organizations. This announcement coincides with the US SHOT Show, taking place in Las Vegas 22-25 January 2019. Jankel Tactical Systems, aligned to the wider UK-based group, is already well-established in North America. In 2018 Jankel’s strong Civilian Armored Vehicle (CAV) business increased growth by a tremendous 300%. This striking increase in sales is attributed to increased orders from Jankel’s core clients: the US Department of Defense; US Department of State; the Canadian Department of National Defense; and Global Affairs Canada, all of whom support operations worldwide. In addition, Jankel secured new customer opportunities with the US Customs and Border Patrol, US Marshalls, and the US Drug Enforcement Agency. The latest contract with the US Customs and Border Patrol has been awarded through a recently granted Indefinite Quantity Indefinite Delivery (IDIQ) contract, a US Federal Government agreement that provides agencies with the required flexibility to meet the demand for rapid and efficient contracting. At the SHOT Show, Jankel will be meeting with all Jankel Latin American representatives to discuss upcoming vehicle trials and demonstrations in the region to showcase the unique capabilities of Jankel solutions. In addition, Jankel will be meeting with existing customers from around the globe to review performance of current solutions and discuss their ever-evolving future needs. The SHOT Show is industry’s largest dedicated exhibit for firearms, protective equipment and tactical accessories to service law enforcement, armed forces, SWAT and private security. Jankel’s growth in North America has focused on ‘Hot Formed Armored’ discreet platforms and the delivery of niche armour requirements for platforms indigenous to the country within which they operate; including the Chevrolet 3500 HD Suburban, Toyota Land Cruiser 79 Series Double Cab (4×4 and 6×6) and Mercedes Sprinter 3500 XD. In addition to their wide range of vehicle protection capabilities, Jankel is targeting the provision of specialist seating and survivability systems. Jankel sales programs increased significantly in 2018 with the provision of BLASTech Seating solutions for Mine-Resistant Ambush Protected (MRAP) and new production vehicles for the US and allied nations. This growth is only set to continue as the need for vehicle occupant survivability increases as a national priority. As such, the Jankel family of companies are continuing to invest in the product development of the next generation of Blast Mitigation technology, indeed, Jankel will soon be making an exciting new announcement relating to this area of their business.